Has President Obama exhibited any hostility towards Christianity? 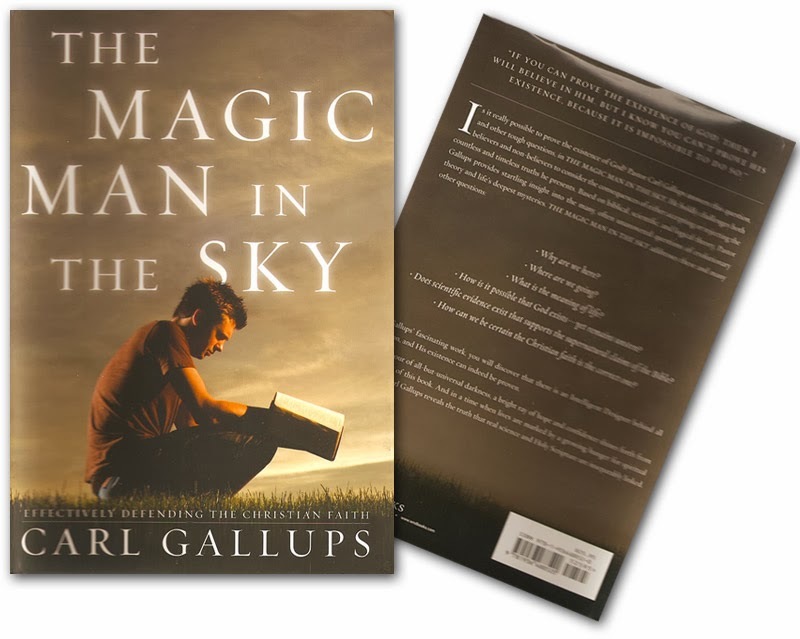 We asked this question on our television show Christ in Prophecy of Carl Gallups, senior pastor of Hickory Hammock Baptist Church in Milton, Florida, and the author of the best-selling books The Rabbi who Found Messiah and one of the best apologetics book called The Magic Man in the Sky. He is also the founder of the world famous PPSIMMONS YouTube channel and prominent Freedom Friday radio talk show host. Dr. Reagan: David Barton is one of the great teachers about the Christian heritage in America. He put out a document recently on America's most biblically hostile US President, which he said included Barack Obama. Here are Obama's acts of hostility toward the biblical faith. In April of 2008, candidate Obama spoke disrespectfully of Christians, caught saying, "They are the kind of people who cling to guns and religion and have an antipathy toward people who don't like them." In April of 2009, speaking at Georgetown University, he ordered the monogram symbolizing Jesus' name to be removed before he would speak. In May of 2009, he declined to host services for the National Prayer Day. In April of 2009, in a deliberate act of disrespect, President Obama nominated three abortion ambassadors in a row to the Vatican. The Vatican rejected all three. He was doing that just to throw it in their faces. In October 2010, Obama began deliberately omitting the phrase "Creator" when he quoted the Declaration of Independence. He still does that today. He drops the word Creator when he quotes the Declaration of Independence. Barton says in November of 2010, Obama misquoted the national motto. In fact, he has done that several times. He says the national motto is "E Pluribus Unum," rather than "In God we Trust." He will not admit that is our true national motto. In January of 2011, after a federal law was passed to transform a WWI memorial in the Mojave Desert to private ownership, the US Supreme Court ruled that the cross in the memorial could continue to stand, but the Obama Administration refused to allow the land to be transferred as required by law. In February 2011, President Obama filled posts in the State Department, but for more than two years he refused to appoint a religious freedom ambassador. He only did so because Christians came down on him. The list continues on and on and on. Let's not forget his acts of hostility regarding the military. His acts of hostility toward biblical values. And, his acts of preferentialism for Islam. Carl Gallups: Almost every one of these you are reading, they are may I say it again — unprecedented — in our American history. That's why I use that word. Dr. Reagan: President Obama when he went to Egypt, he talked about the great Muslim heritage of the United States and of the Founding Fathers. I thought, "Who in the world is he talking about?" He pointed to Thomas Jefferson owning a Koran. Yes, he had a Koran, because our ships were being raided by Muslims Barbary Pirates and he wanted to find out what was the thinking of these people. So Jefferson gets a Koran to read it to study their culture, but then Obama calls him an advocate of Islam. Carl Gallups: Yes, in fact Jefferson used what he learned to bring an end to the piracy and to wage war against that culture. Dr. Reagan: It is just unbelievable how fast our nation has moved in the wrong direction. It's an exponential curve of the deterioration of our values. 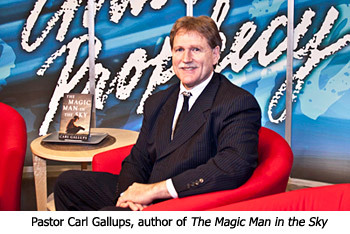 Carl Gallups: Yes, it is, and that's why I've said the exclamation point seems to be at the end of the sentence. Dr. Reagan: It sure is. That's why I've written about that very topic in a 40-page booklet called The Prophetic Manifesto, in which I talk about the terrible condition of our nation and the terrible condition of our churches. The terrible condition of the Church is one of the reasons for the terrible condition of our nation. Carl Gallups: I find myself praying a lot the prayer of Abraham over Sodom and Gomorrah. "Lord God, if there is 50 of us left, would you bring a blessing and spare us? If there is 40? If there is 30?" I don't know where we are in that prayer, but I tell Christians, "Stay engaged and stay on your knees." Dr. Reagan: Amen! We are to be the salt and light. If we are not salt and light standing up and speaking out for what's right, nobody will. Order your copy of this special book today! This is just the tip of a very " titanic" iceberg that will destroy the America we believe we are safe and free living in. God help us all because when we fall so will the world follow because we do so much for other countries in trade etc. look at revelation it talks about it. President Obama has arranged the liquidation of Christian minorities in the Middle East and North Africa, it is but a matter of time before he takes a more concentrated effort domestically. A domestic operation to remove Christian groups from America will require isolation, monetary control measures, massive data collection, and implanting agents within various congregations to infiltrate and destroy from within. Such an operation is already under full swing. At one point I was asking for a definition of "cultural Christian" as I wasn't clear on what L&L meant by it. btw, Nathan, I don't know if you changed the word verification process but it was very easy to read today, thanks! Hmm, it might be too easy to read, Billy. Spammers are getting past the word verification, but then blogger filters their posts out. and now military cut backs, soon there will not be adequate protection for our country--the list goes on and on and keeps getting more intense!